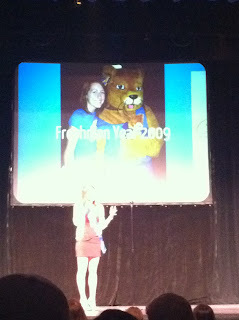 Who’s excited for Fall Festival 2012?! I know I am. Fall Festival is in full swing right now and the Hofstra campus is buzzing. Greek Organizations have been working hard on their floats for tomorrow, and last night was the Fall Festival Court showcase. 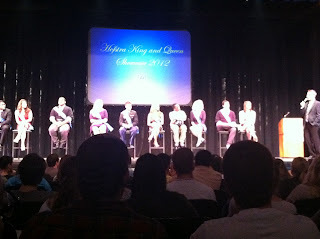 Ten deserving seniors, five ladies and five gentlemen, are chosen to run for Fall Festival King and Queen. The photo below shows all ten candidates being interviewed before their “creative explosion” performances. Good luck to our two Pride Guides who are on Fall Festival court! 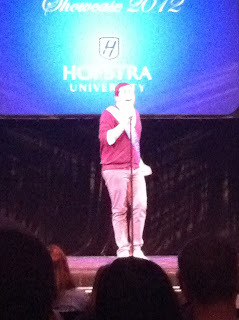 Below PRIDE GUIDE Luigi Mondi sings “Sunday Morning” by Maroon 5 for his talent at the showcase. PRIDE GUIDE Liz Weeden takes the audience through her 4 years at Hofstra. 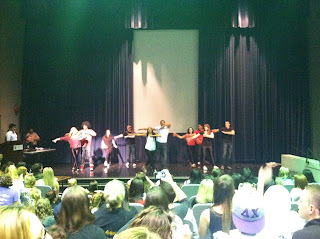 After the showcase tons of students shuffled into the Student Center Theater to watch the highly anticipated lip sync. 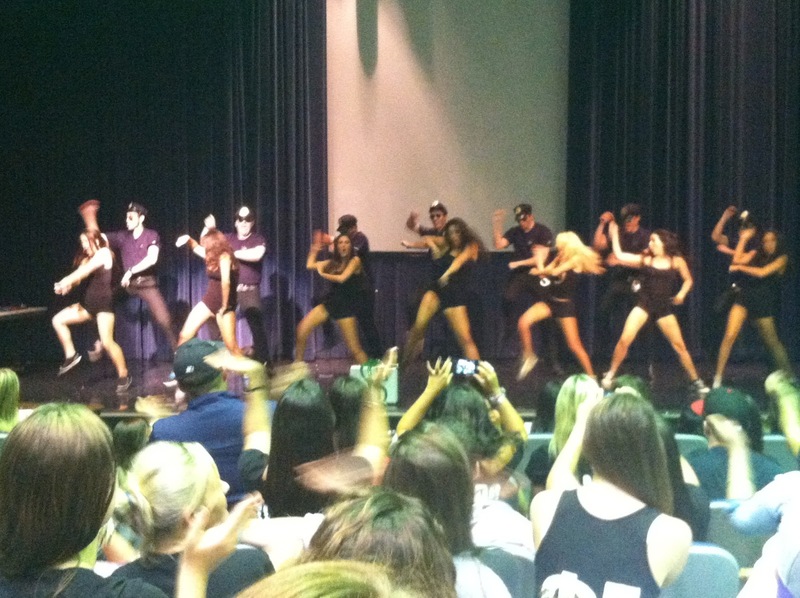 This year’s winners were Danceworks and Sigma Pi! (Below) Great job to everyone involved, it was a great way to kick off Fall Festival weekend! 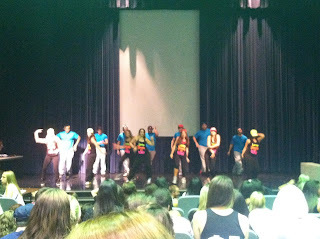 There were so many great performances by the student organizations, below are a few more photos from the night! Can’t wait for the rest of the weekend! Be sure to attend the parade of floats and Vibe Live concert happening tomorrow!